If you employ or manage people that work in situations where there is a risk of a fall from any height either from above ground (e.g. from a step ladder or scaffold) or to below ground (e.g. into an excavation, maintenance pit, off a dock side) then this will certainly be an hour well spent. The seminar will help you understand your duties as an employer or manager under the Working at Height regulations. You will find out which other legislation is directly relevant to work carried out at height and how it effects you. You will gain an understanding of how risks of working at height can be controlled and receive tips on how to implement control measures. You will also have the opportunity to quiz the people who have assisted to put together the first and currently only accredited entry level working at height course that is available in the UK. The hour well spent will be delivered by Alex Hailstone of Prestige Safety Services. 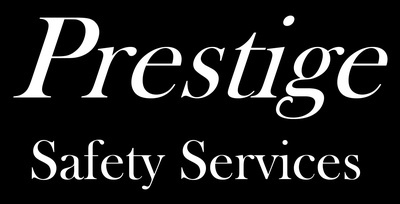 Alex has over 10 years of Health and Safety Experience and is one of the partners at Prestige Safety Services. In that time he has worked as a consultant specialising in construction but covering all sectors. During this time Alex has given advice and training to a range of businesses on safe working at height practices and that has culminated in assisting Qualsafe Awards to create the first ever, and currently only entry level accredited working at height training.